If you own or manage a concrete, wood-frame or soft-story building, you need expert advice. Call us! Seismic experts will walk you through the key points of recent seismic ordinances in California, which aim to protect people and property. 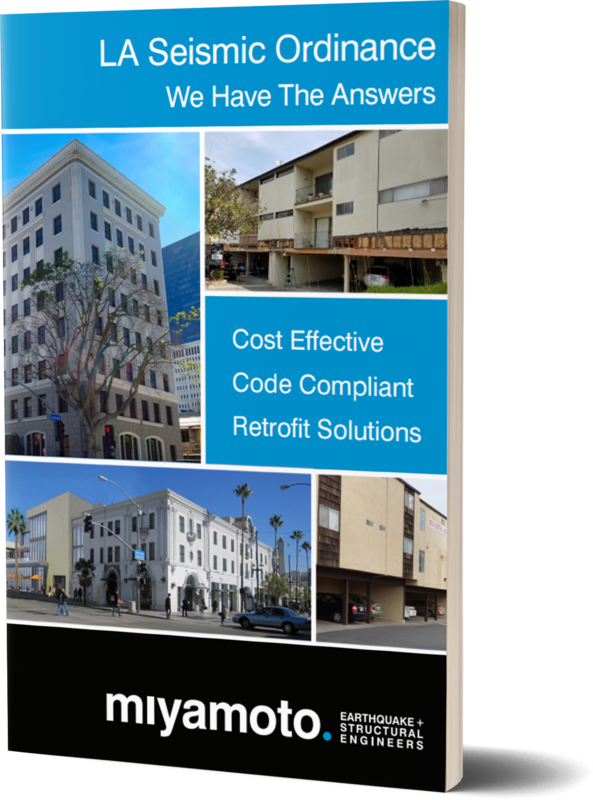 Find out how to most cost-effectively retrofit your building without spending millions of dollars. The laws mandating seismic retrofits are designed to improve the performance of certain types of buildings known to perform poorly in large earthquakes. We’ve done thousands of cost-effective retrofits around the world. With a small pre-seismic event investment, your building can be strengthened beyond minimum code, which protects the financial investment in the building itself and increases occupant safety. These upgrades increase confidence among tenants, which helps to maximize occupancy and increases selling potential. © 2016 Miyamoto International, Inc.